Our Tiny Dog Vest is a padded vest designed for the small working dog. The outer layer is made from durable, weather resistant 1000 denier nylon/urethane coated fabric. It is padded and lined for your dog's comfort. 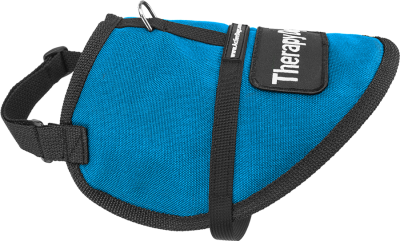 This vest allows your dog good mobility. The front chest and the girth straps are adjustable. There is a D-ring for attaching your leash. This vest comes with 1 patch (regular, not specialty patch). You may purchase additional patches, and we sew them on for you FREE of charge. Please specify where you would like your patch(es) located on your vest in the “Patch Placement” field in the shopping cart. e.g. 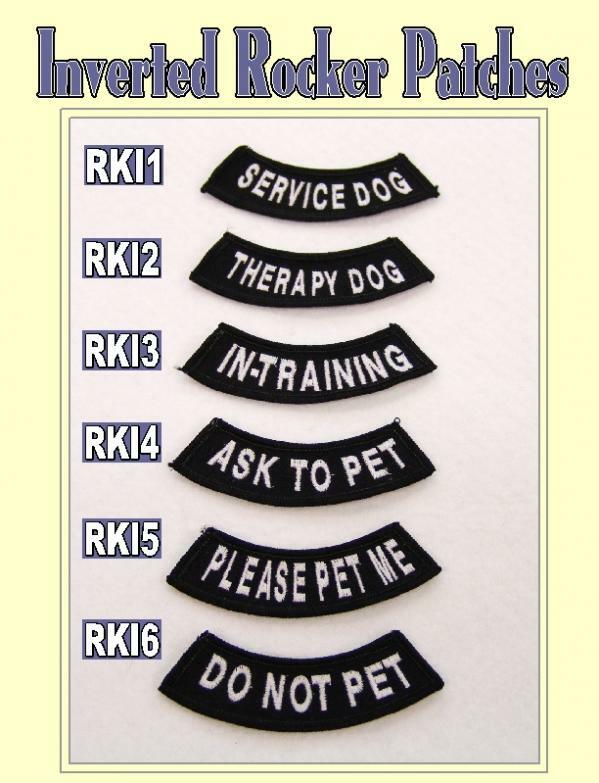 Service Dog patch left, middle. Therapy Dogs are dogs that meet the needs of others (such as visiting people in nursing homes, hospitals, pet therapy work, and reading groups, etc.) Handlers do not have ADA public access rights with Therapy Dogs and must have permission from an establishment to enter. On the back of the Therapy Dog or Search & Rescue IDs, we put a statement about the work that these dogs perform.